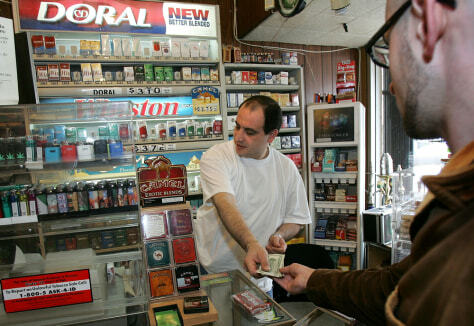 Sam Abuelrouz, center, makes a sale at Smokes, Etc. in San Francisco. Federal prosecutors said Tuesday they are asking tobacco firms for a dramatically reduced penalty to spend on smoking cessation programs.